Debby was interviewed in the studios of the Amsterdam TV / Radio Station AT5 for the American internet platform “Eyes of Success”. Hosts Nancy and Peter Torpey had heard about het exploits and took great effort to do to a very professional interview with Debby indeed!. Here is the podcast. The purpose of the “Eyes on Success” internet platform is to discusses products, services and daily living tips for people with vision loss, all from their smartphone or PC. 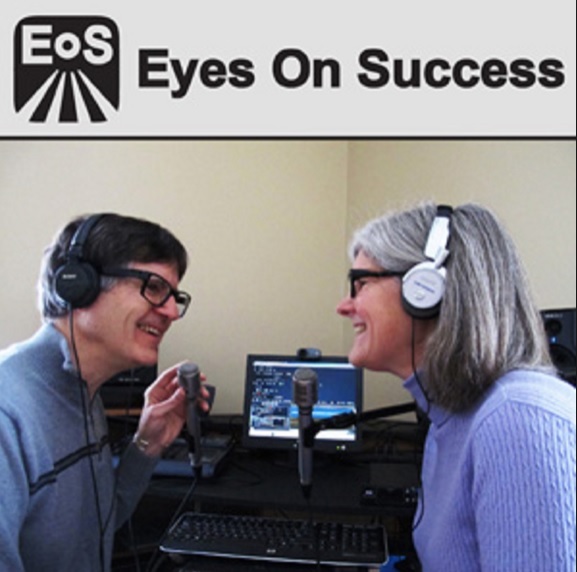 The “Eyes on Success” website excels in simplicity and accessibility. Nancy and Peter did a great interview and also gave Debby lots of tips and tricks to enhance her internet presence. Great people, fantastic interview. We have fantastic people in our VIP communicty, you just have to find them!